Our diverse global workforce of 3,400 employees is committed to safe and sustainable business practices that bring value to its shareholders, customers, employees, and the communities where we work and live. We have nearly 20 locations around the world, with corporate offices in Stamford, Connecticut (USA), Kwinana, Western Australia (Australia), and London (UK). We maintain a research and development center in Oklahoma City, Oklahoma (USA). 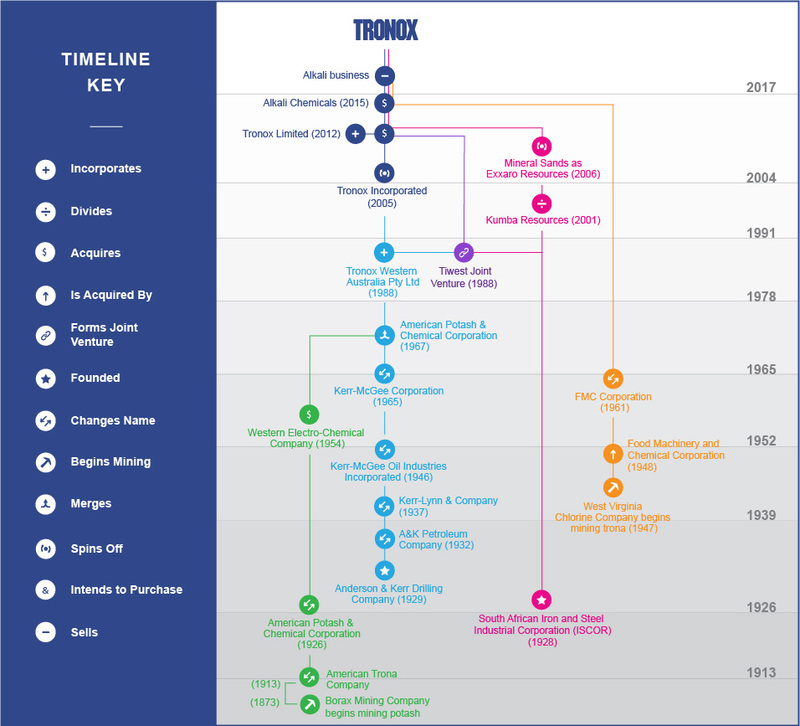 Tronox is listed on the New York Stock Exchange under the ticker symbol TROX.